After meeting at Circus Maniacs in 2008, Jessie and Lisa have worked together ever since. They have performed all over the world with their double trapeze acts, including alongside stars such as One Direction and The Saturdays. 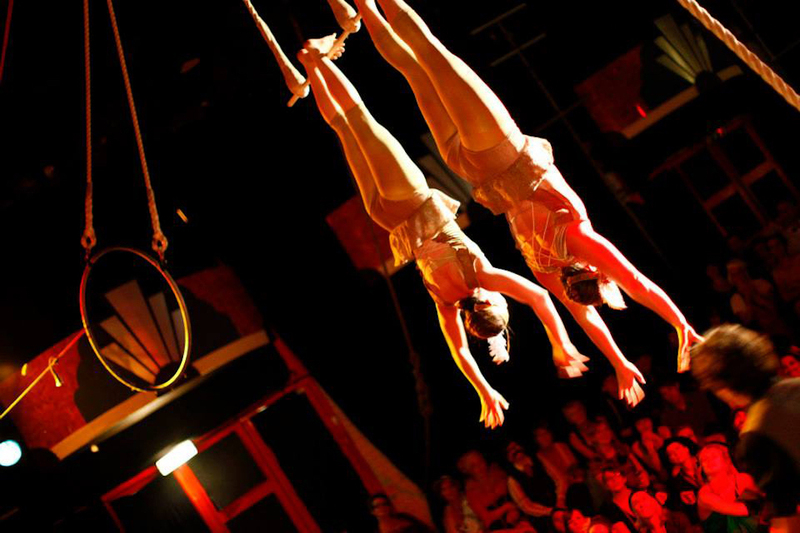 They can perform a variety of unique double trapeze acts on several unusual trapezes – the dramatic ‘three-high’ trapeze, the popular ‘twin bar’ trapeze and the classic ‘single-bar’ trapeze. Their acts are themed as either 1920s flapper girls or vintage circus. 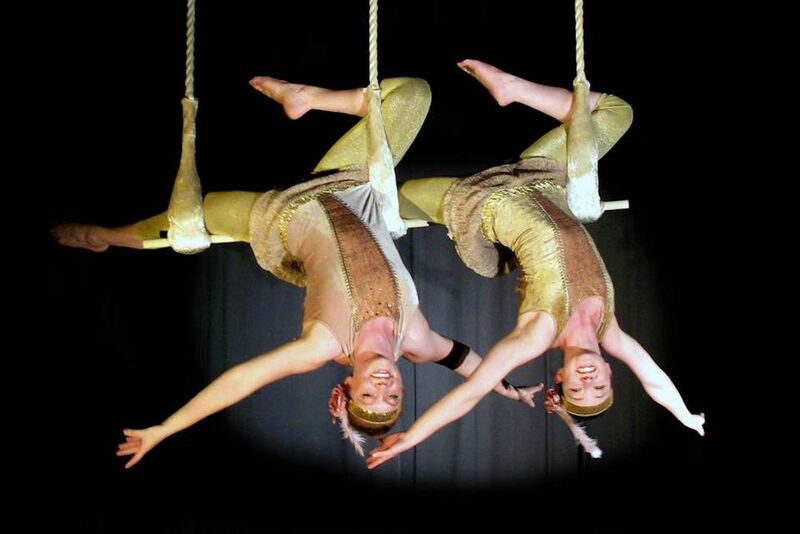 They were the first winners of The Emma Insley Aerial Creation Award. "Two acrobats then drew gasps with a death-defying trapeze routine." "A stylish, spicy, dynamic doubles trapeze routine. Great energy and skills." "We thought you'd be perfect for the event when picking the entertainment, but you were even better than we had expected!"